This move in ready house will impress you the minute you walk in the door! With loads of natural sunlight, open floor plan, and all the updates throughout, you will want to call it home. The main floor has an impressive vaulted ceiling and the living rm has a gorgeous bay window with custom built-in storage bench. Eat-in kitchen offers a spacious pantry and updated appliances. 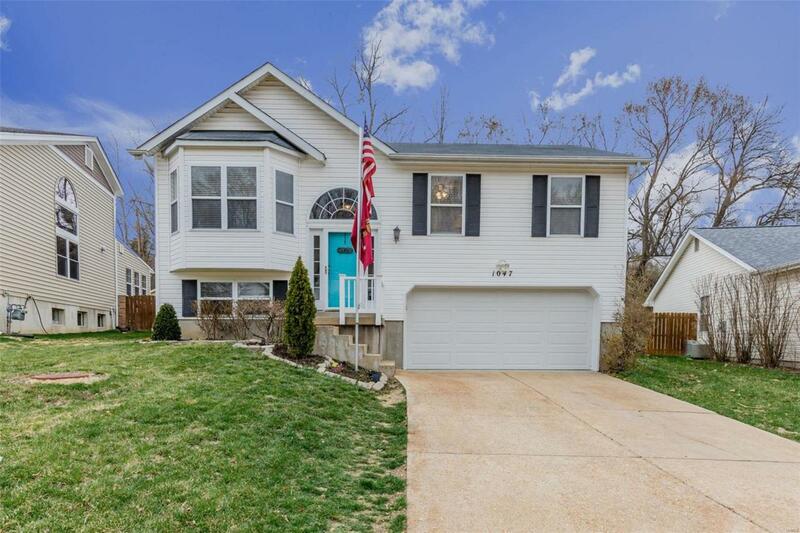 There is a full bath, 2 spare bdrms (with good size closets) and a Master Suite with a newer bay window (2018) overlooking the expansive, private backyard. Finished LL has more living space for you to use as you like: family rm, playroom, office, workout area you name it! The oversized 2 car garage has plenty of space for storage, and if that is not enough, you have the attic to access thru the pull-down ladder. The private fenced in backyard is impressive with a 2-tiered deck, gas grill, hot tub and pond with waterfall. And dont forget to check out the workshop out back that has A/C, heat and electric!